There was a time when the concept of international education and global learning was principally about experience: getting students out into the world, travelling, first to Europe, and then further afield. The world was posited as a rich museum of culture, art, history, and innovation. At Pickering College in Newmarket, Ontario, that concept has been turned on its head. There, a school-wide global learning curriculum is less about experiencing the world than it is about enabling and empowering students to act effectively in it. It’s less about becoming good tourists, and more about becoming good global citizens, seeing the world not as a museum, but as a home. The GLP was essentially reverse engineered from that goal, based in an understanding of the skills students would need to succeed, while remaining cognizant of the kinds of experience and aptitudes that universities would be looking for. The intention was to develop global leaders for the world they’ll move into after graduation, ensuring they have the attributes necessary to engage meaningfully with the challenges they’ll encounter. What does it mean to be a good global citizen? 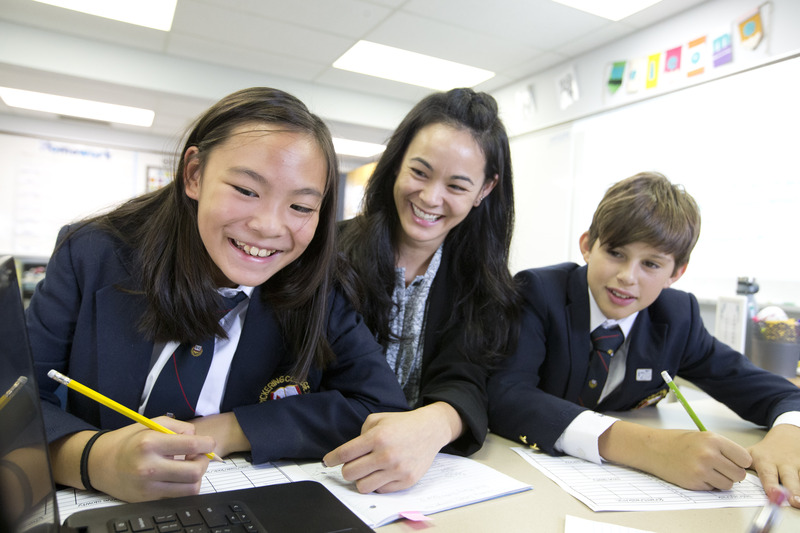 As an administrator of the middle school, Cleland oversees a period in the students’ lives that can be as difficult as it is central to their personal growth and development. “This age group is really looking at figuring out who they are, developing and solidifying their identity, so that’s what we target.” That includes working with students on the building blocks of their learning: figuring out what their skills are, what their challenges are, and helping them gain a sense of what they're passionate about and what they’re capable of. “The second piece is being able to enact change: knowing what it means to be involved in community, being able to advocate for things that are important to them, and knowing how to do that in a way that respects the people that they’re working with." Though still relatively new, the approach has already proven itself through tangible results. The diploma culminates in the Capstone project, where Grade 11 students write a research proposal based on a global issue of interest to them—suggesting solutions and implementation—which they pitch in front of a judging panel. Kim Bartlett, director of teaching and learning, recalls one of the first students to complete a Capstone project, designing and engineering equipment to scale walls. Today he is completing an engineering degree at Northwestern University, where he was part of a team that helped develop the fuselage for the SpaceX Mars missions. Says Bartlett, “these are the kind of kids that are now coming out of our programming. They’ve got the thinking skills, they’ve been trained in integrative thinking. We want all of our kids to have that kind of experience.” As such, the force of the GLP has been applied across the breadth and depth of the curriculum, not merely the obvious areas, such as STEM or social studies. “In all of our programs, there is a strong focus on real-life experience,” says Noeline Burk, head of the arts program. “It’s not just about whether you’re the best drawer in the class; it’s about being able to develop an idea and see it through to a successful ending.” Burk believes art is about more than expression, and that in an academic setting it can and should be used to develop communication, presentation, and even entrepreneurial skills. That intensive focus on skills, and ensuring they are brought to the fore, is what ultimately gives the GLP its character. It understands that a good global citizen isn’t one who simply recognizes the superficial differences between cultures—the “food and dance” approach to international and cultural diversity—but rather one who has the skills to navigate the world, to collaborate effectively and empathetically with others, to think creatively about the causes they believe in, and to realize all of that through positive action. “When we designed it," says Bartlett, "the goal really was, ‘What do we want our graduates to be able to do at the end?’ It was really about imagining the ideal graduate.” Says Sturrup of the GLP, “as it fulfills its potential, it’s setting students up to be successful not only in university, but successful in whatever they want to do.” It understands that the globe isn’t just out there, it’s here too, and that being a global citizen begins at home.